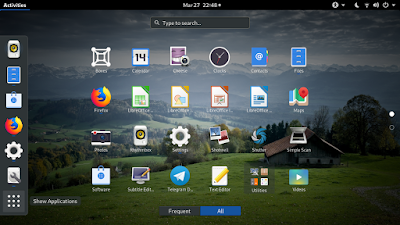 This simple compilation of tips introduces you useful things to do after you have a fresh GNOME 3.32 desktop environment on your GNU/Linux operating system. 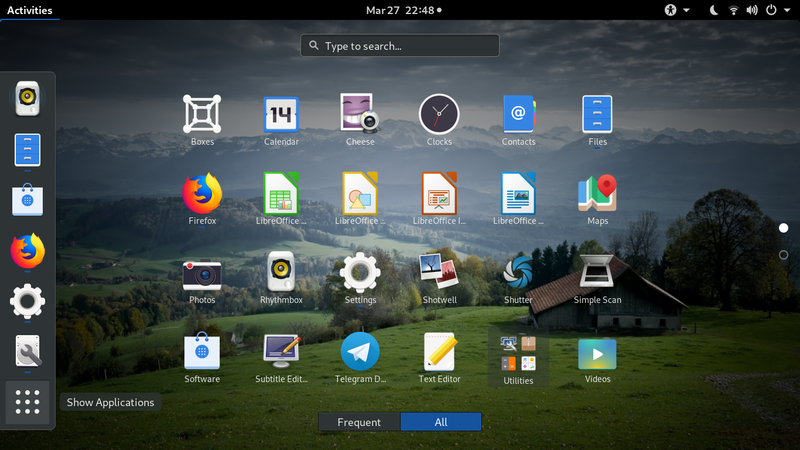 In most case, this tutorial will be useful for Fedora, Arch, or any other distro with vanilla (not customized) GNOME; but you can apply several tips from this to Ubuntu or other distro with custom GNOME as well. Alright, happy working! Vanilla GNOME does not have Ctrl+Alt+T associated to run Terminal. To associate this shortcut key, go to system settings > keyboard > scroll down to bottom > click plus > insert command gnome-terminal > make a shortcut Ctrl+Alt+T > OK.
By default, touchpad tap-to-click is not enabled. 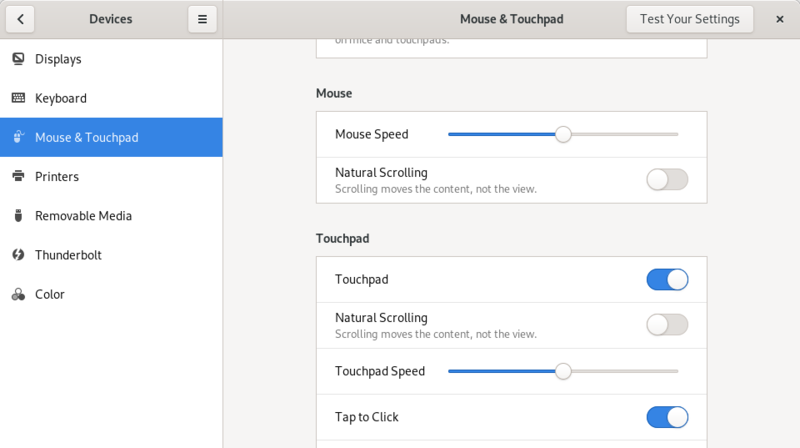 To enable it, go to System Settings > Touchpad > slide the toggle button "tap-to-click" from grey to blue. 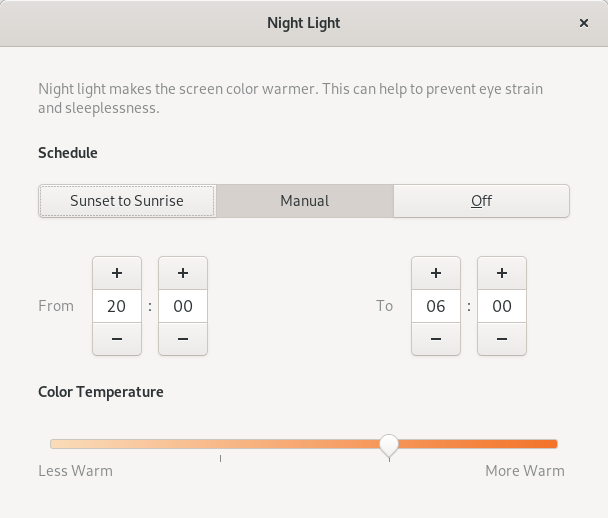 It's a similar feature to Redshift (f.lux) program to reduce blueish light from the screen so it helps you reduce sleeplessness and eyestrain. It's an automatic feature it could change your screen color based on the time zone gradually without your interference. 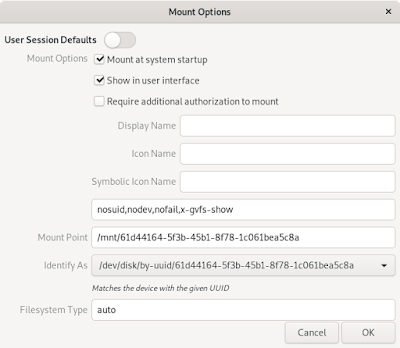 It's a convenient feature I personally always enable both on Plasma and GNOME. 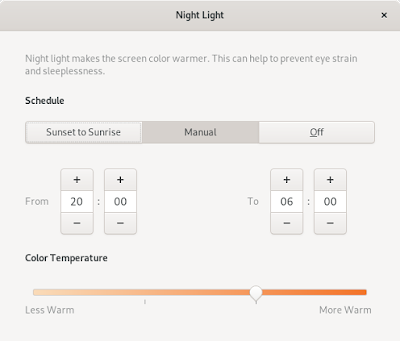 To enable it, go to System Settings > Display > Night Light > turn it on. You should see your screen getting more and more red (or strong orange) over the night. Perhaps your clock shows the wrong time. 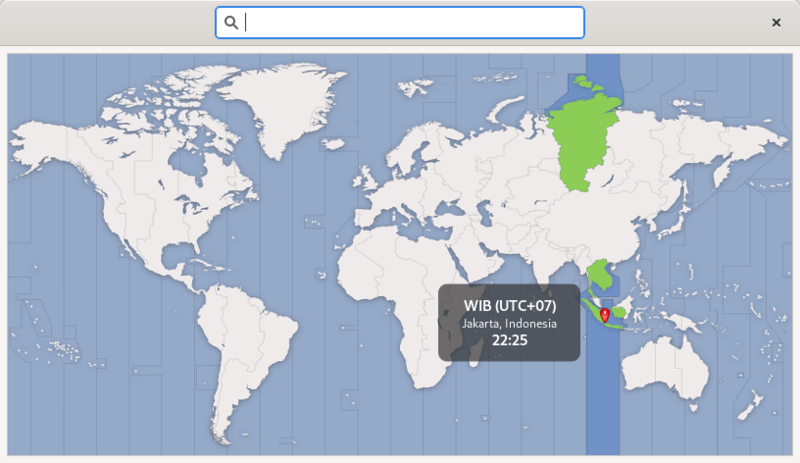 To correct your time, go to System Setings > Date & Time > select your region (example: Jakarta, Indonesia; London, U.K.) > OK.
Another initial thing you might really want to have is automounting partitions. 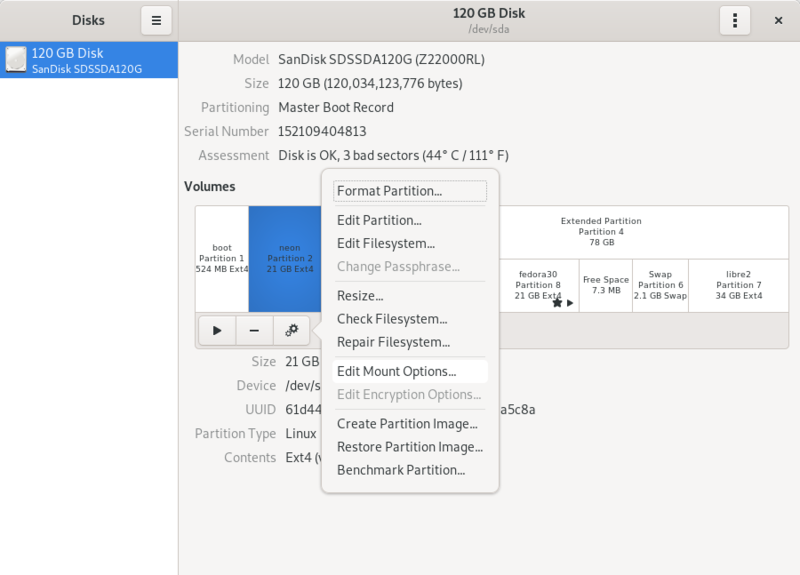 As long as you have GNOME Disk Utility installed, you can configure it very easily. 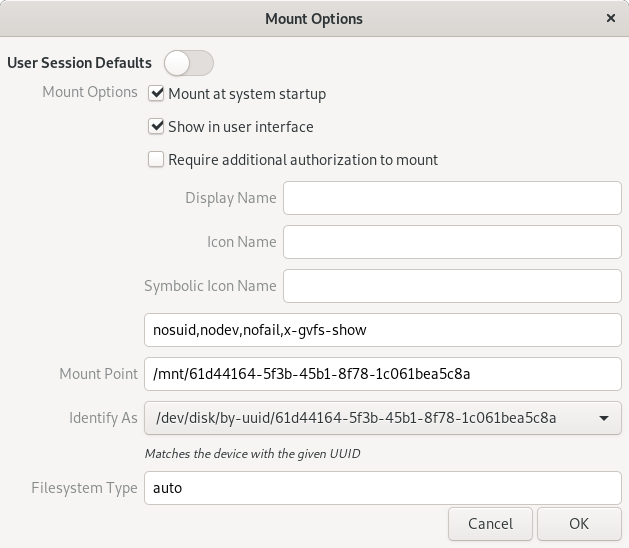 To do it, open start menu > run Disks program > select a partition > click Configure button > click Edit Mount Options > disable User Session Defaults (top toggle button) > make sure "Mount at system startup" is checked > OK > type your password while asked > OK. I believe many of us will like sort by "Newest on top". 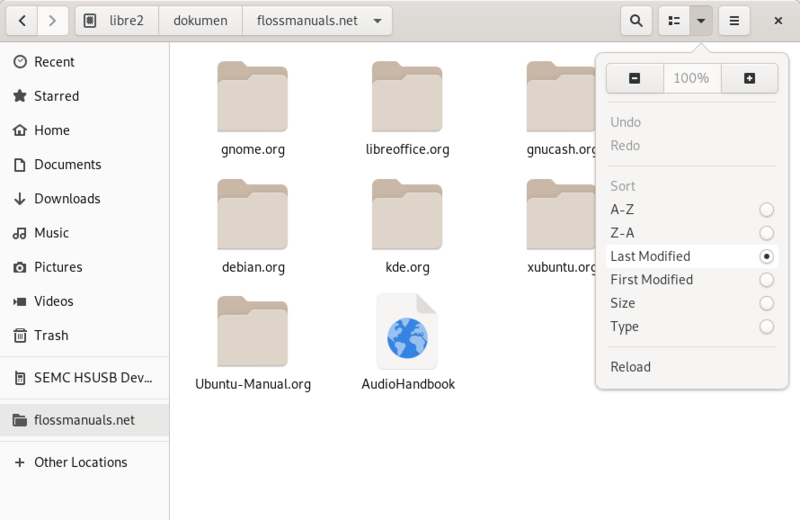 To sort files like that on Nautilus, click sorting button > select Sort by Latest > all files sorted from newest to oldest. 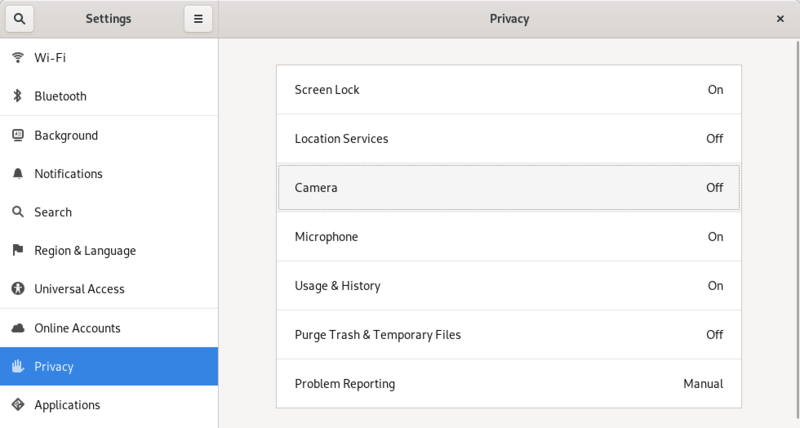 GNOME 3.32 brings a privacy controls. For example, you can disable your webcam and recent files there. To do so, go to System Settings > Privacy > Webcam: turn it off > Usage & history: turn it off. 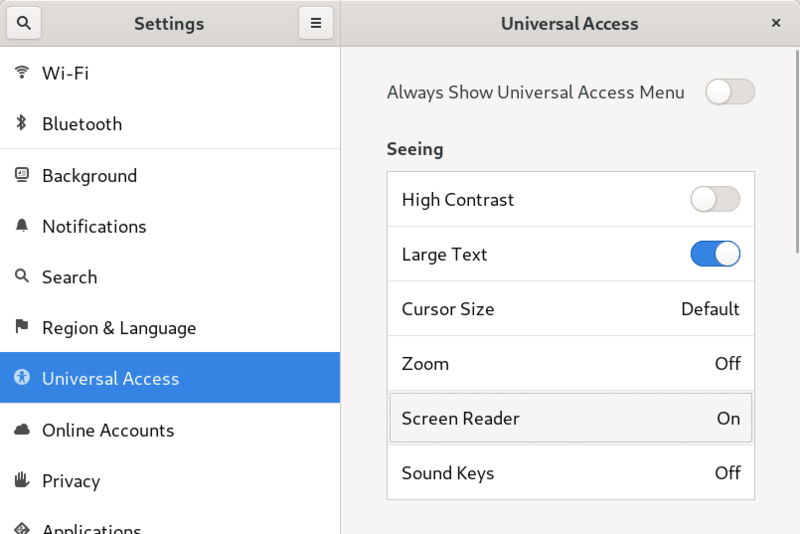 You can enable Screen Reader (that is, a feature to speak out loud text on your screen) by going to System Settings > Universal Access > Screen Reader: turn it on. You can also enlarge whole text on your screen by enabling Large Text on the same place.